Yesterday we were very sad to leave Montusi as we felt it was the pure holiday feeling that made it all worth wile. 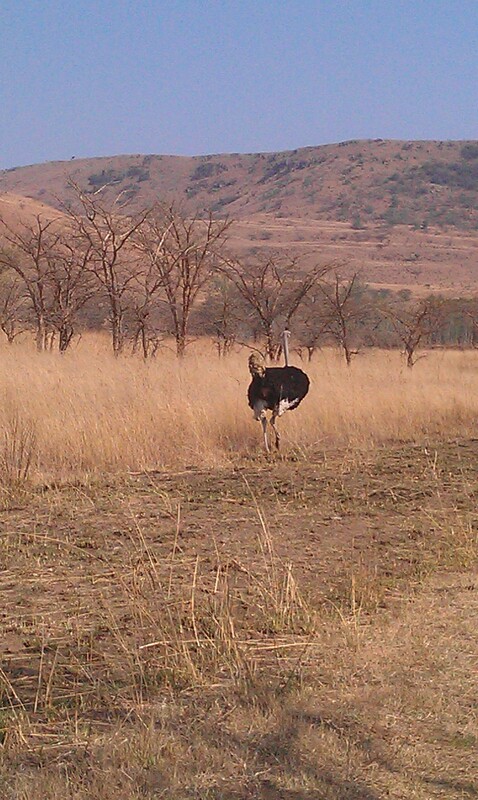 We set out to Dundee, and then on gravel roads towards Nxala Ranch. Nxala is Zulu and stands for Mountain Reedbuck. The place is a working farm which breeds breeding bulls, and also has a small 4 bedroom guesthouse run by the couple who also run the cattle farm. The ranch is named after the animal, and has next to about 1000 head cattle also got a small zoo of indigenous ungulates. Amongst which are of course Nxala. On Saturday evening, we got to ride with Frans in his Landrover T5 Diesel on the property. 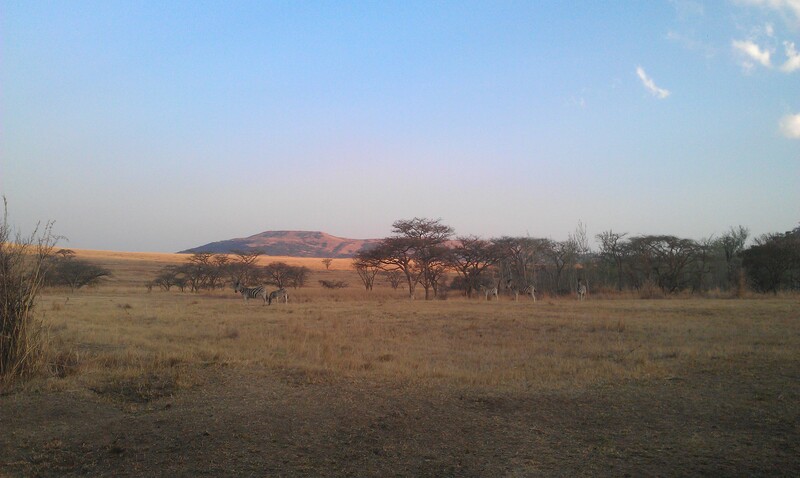 About 1600 hectares of land are dedicated to the African animals on the the farm. They can roam it all freely and are basically left to fend for themselves. With the absence of large predators, life is a little bit easier for them, but still dangerous as there are other predators like Jackals who do make quite a lot of kills. The drive was great, and with the sun setting it also made for some very scenic views. 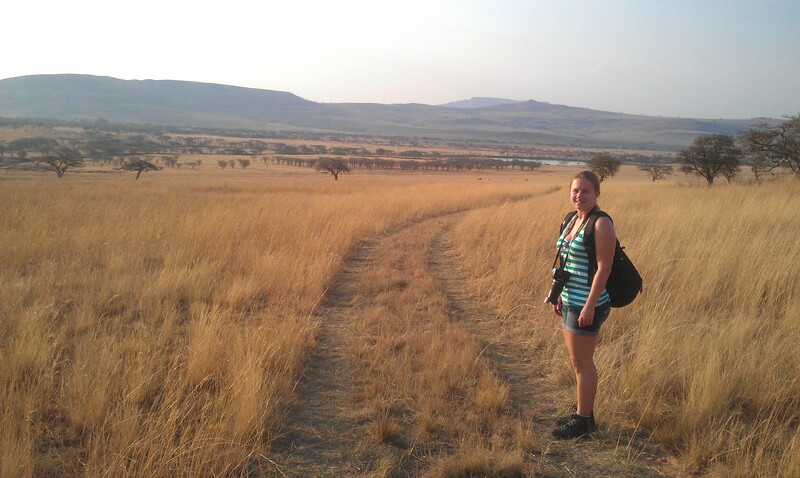 Right before that, we went out on our own little adventure from the ranch to a place called Rorke’s Drift. This is of historic value as it is the location of a hospital where about 100 English soldiers fought off an army of approximately 2000 Zulu warriors for about 11 hours. Given the fact that the same warriors defeated about 1400 Englishmen a few hours prior, defending the hospital was quite a feat. The Anglo-Zulu war took place late 1870’s a mm d early 1880’s and cost both sides a lot of lives. The memory of these times are still vivid in South Africa! Unfortunately for us, the drive took us through some very rough unpaved roads, and the 40km took us much longer than we anticipated. Also, it seemed to be quite a burden for our car, but it survived well. Arriving at Rorke’s Drift we found the wind had picked up considerably and made life tough. We were verily being sandblasted! After all this, we’ll be sad to leave Nxala. Life is also good here!